Having seen the ravages of Alzheimer’s Disease up close — having lived with them actually, we don’t go out of our way to see the subject dramatized. The other night, however, we were glad we stumbled on Iris, a 2001 movie starring Judi Dench, Jim Broadbent, Kate Winslet, and Hugh Bonneville. This film is based on the life of Iris Murdoch, a prominent British novelist and philosopher in the second half of the twentieth century. While she was a young woman teaching at Oxford, Murdoch fell in love with another Oxford academic, John Bayley, and eventually married him. It was what Puccini’s librettists might have called “a strange harmony of contrasts. 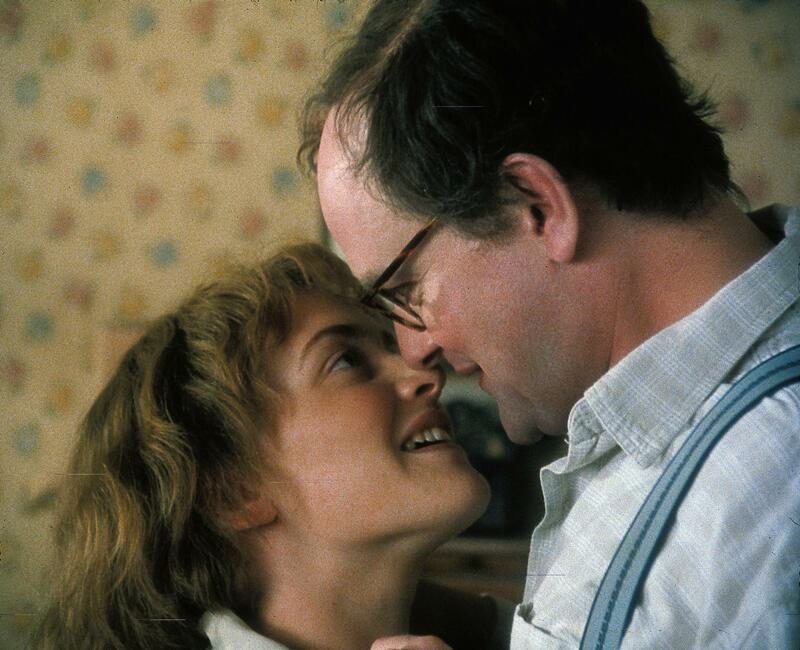 Winslet was confident, high-spirited, articulate, and promiscuous, and Bayley was awkward, stuttering, shy, and virgin. Their story, based on Bayley’s written accounts, is told in turns by flashbacks to the tumult of their early life together and a portrayal of the gradual deterioration of the elderly Iris’s mind. At the center of the story is John Bayley’s enduring love for this woman, even when her dementia frightens him and strains his patience. 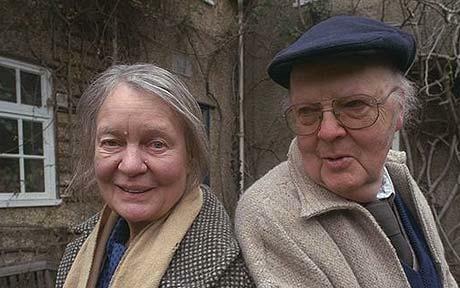 Dench and Winslet play the elder and younger Iris, and Broadbent and Bonneville play the elder and younger Bayley. This casting was inspired, because in both cases the premise that we are watching the same people at different stages of their lives is convincing. 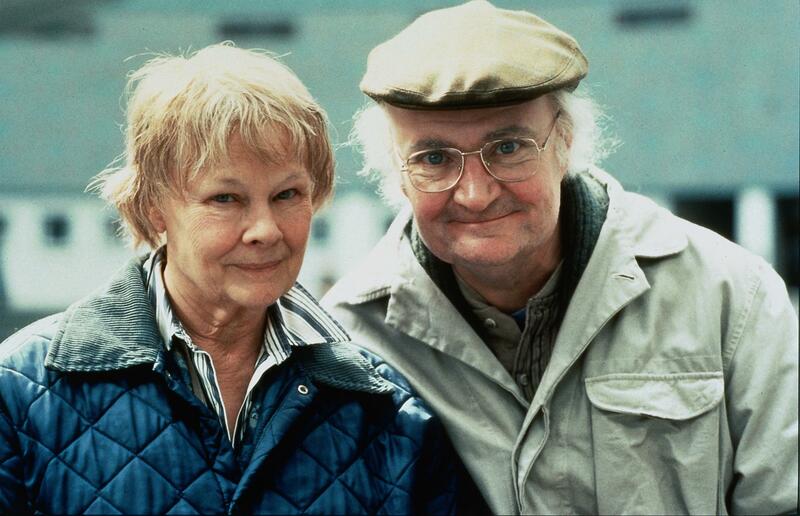 The quality of the performances is reflected by the fact that, among many accolades, Jim Broadbent won an Oscar and Judi Dench and Kate Winslet were nominated. Why Hugh Bonneville wasn’t nominated I can’t imagine. Those who are familiar with him in vehicles such as Belle and Downton Abbey will learn something about his range by watching him in this film. Incidentally, fans of Downton Abbey and The Best Exotic Marigold Hotel might be pleased to see Penelope Wilton’s performance in a significant supporting role in Iris.